All Kappius Components wheels are built up in house. 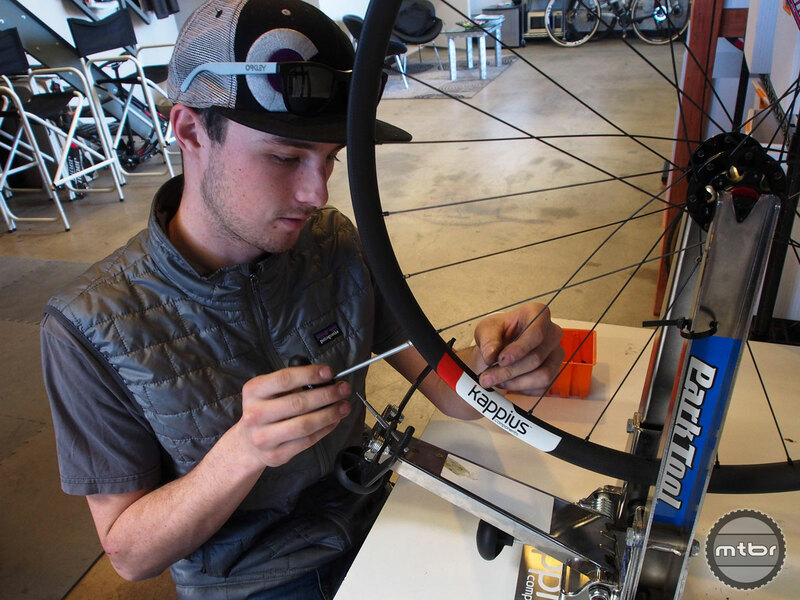 In the ultra competitive arena of high-end cycling wheels, Brady Kappius sees his company’s target customer as the rider seeking the best all-around experience. They want a high-end product that’s lightweight and works well, the complete package if you will. And that’s just what Kappius Components says it’s selling. 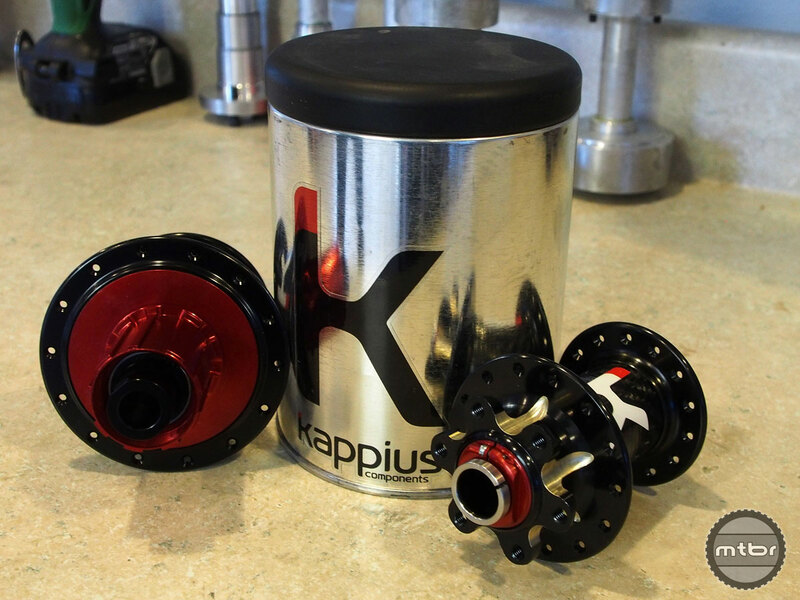 Indeed, improving hubs is where Kappius Components got its start. The genesis came in 2009, when Rus Kappius (Brady’s father and company co-owner) was out on the trail with some buddies. One of those buddies suffered a catastrophic hub failure and had to walk out. Kappius decided there had to be a better way, and when he got back home he started sketching ideas. This assortment of KH-1 and KH-1.5 hub jigs are used for bonding the carbon fiber centers to the alloy flanges ensuring flange alignment to the axle and spoke hole offset alignment. The elder Kappius felt the cycling industry was building hubs with inferior technology. So he concocted what he believed to be the optimal hub design, checked to see if it would violate any patents, and then started building prototypes in his garage in south Denver. That led to the KH-1, Kappius’ first generation hub. It worked well, but required significant buy-in to the Kappius system, because you actually had to machine away portions of your cassette in order for it to interface with the KH-1 hub. The obvious next step was a more user-friendly offering, which led to development of the KH-1.5 and KH-2. 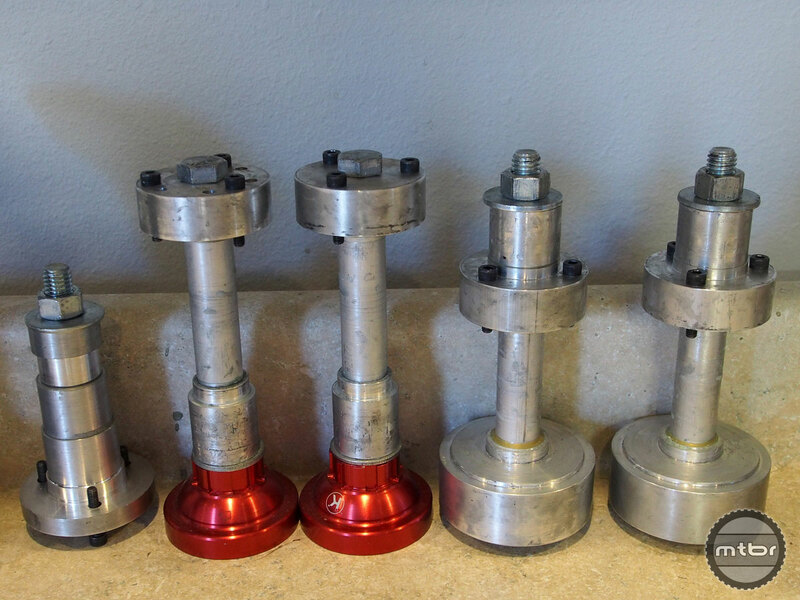 These hubs took the benefits of the KH-1, but allowed for a standard cogset interface via a simple slip-fit system But the real selling point in all cases is performance. Utilizing 240 points of engagement, Kappius hubs aim to drastically reduce the lag time between pedal stroke and forward momentum. A set of Kappius hubs come shipped in one of these slick containers, but engagement is what really stands out. These features don’t resonate as much on the road, so Kappius says the company focus for now is on the cyclocross and mountain bike market. I wish they made some wider rims, hubs have high engagement at 240 which is nice. Onyx Racing hubs have infinite engagement with less drag and no sound, but weight much more than Kappius.